As a data scientist serving business decision makers, I write a lot of reports. In other occasions, I write technical specifications for application developers who implement the user event instrumentation for product analytics. You also have been seeing me posting articles like this on LinkedIn every Tuesday. I write a lot. How do I write so fast? There are a lot of articles focusing on how to overcome writer's block. They are helpful. But today, I want to focus on the system I have, not the tips when you are stuck. Can you make your hands work like your mouth? You may have clicked this article because of the insane looking keyboard in the headline image. (Go ahead and scroll up to look it again.) This is actually my keyboard and there is only one keyboard exactly like this in the world. I know it because I built it! 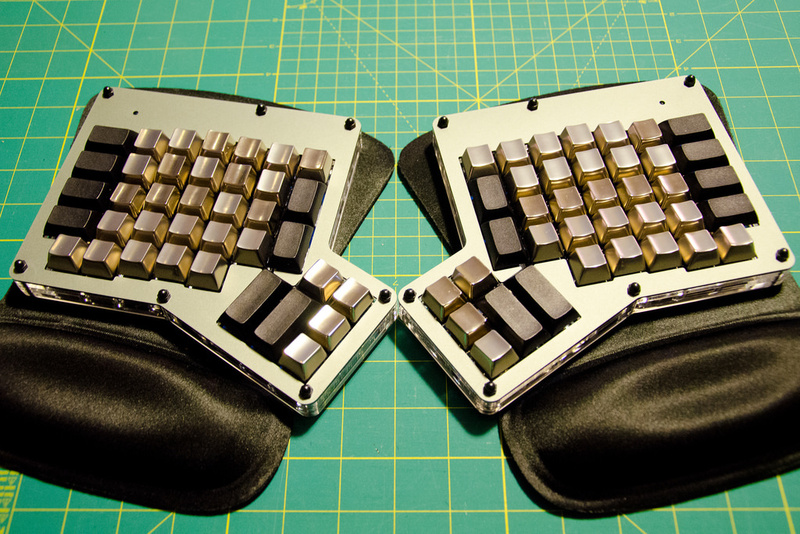 It's based on an ergonomic keyboard called Ergodox. I added custom the key caps that are made of zinc. It's not only shiny, but it gives the just right amount of the haptic feedback for me when I type. Did you notice the keys don't have any label? I don't need them because the keyboard layout is fully customizable. Drawbacks? No one else can use it. It's just for me. Why am I bragging about my keyboard that I built by soldering up more than 100 tiny diodes? My point is that you need to remove any friction between the thoughts in your brain and the writing. I take this to an extreme as to build my own keyboard. Let's go on to find out what other tools I use. Stop using a word processor for drafting. Seriously! Microsoft Word, Google Document, and anything else, a word processor is a terrible place to dump your thought into writing. After writing a paragraph, a sentence, or even a word, you are compelled to switch your task to tweak the layout of the document. You think you are still working on the document, but you are doing a very different task (styling) than putting your thought into writing. This task switching makes you forget about what you were going to write next. I use a simple text editor to get the first draft done. When I do it, I do only one thing: Just dump my thought into writing. Nothing else. I am not a native English speaker, so I have to work a lot to correct the grammar of my writings (and it will never be perfect). But I never care about the grammar when I draft because that would also cause a task switch. How well can you use the keyboard shortcuts? Undo, redo, save, find and replace... I find moving my hand off the keyboard to look for the computer mouse is a wasteful motion interrupting my brain-dump process. Invest some time to learn keyboard shortcuts. Also, I suggest picking a text editor that let you do most things with keystrokes without touching the mouse. If you are a coder like me, you may know vi or vi inspired editors. I code in vi and also love to write articles and reports in vi because not only I avoid touching the mouse, but also even don't have to leave my hands off the home position. When you move the cursor, you usually use a mouse or use arrow keys. Such hand motion takes your hand off from the home position on the keyboard. vi let you do everything with the keys my fingers can reach without moving my wrist. I can even do spelling corrections and word wrapping just by a few keystrokes. It helps me a lot to focus. I don't recommend vi for non-programmers because of the high learning curve. But you get my point: Learn to do things without moving your wrists. This **emphasizes** words (rendered bold). This is for *special term* and etc (rendered italicized). And also on. You can even write tables and equations. Those are all expressed with the simple and intuitive use of symbols. The markdown system visually conveys the document organization with a simple text format, and the text can be automatically converted to HTML if the file is opened by Chrome web browser with Markdown Preview Plus extension for example. 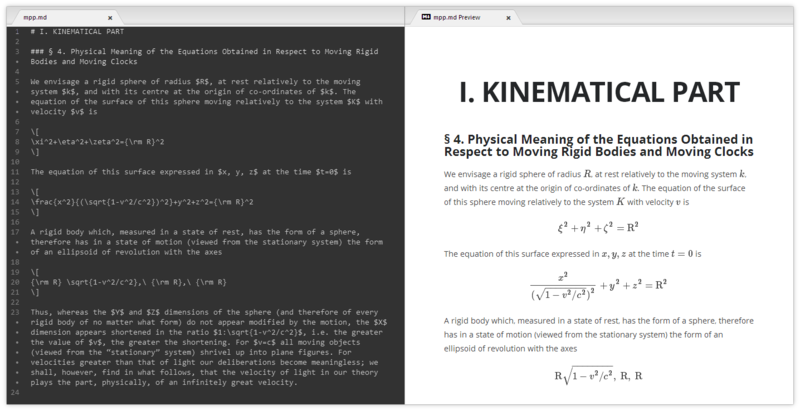 You can copy and paste the HTML rendered page into Word or Google Document with those structures preserved. Obviously, not every tool I introduced above is for you. But I hope you get my point. I feel our mouth is wired directly connected to our mind. A lot of things interrupt the signal between our brain and hands when it comes to writing especially when we are using a computer. In my experience, anything distracts me from dumping my thought into writing destroys the train of thought badly. Let your fingers simply record your thoughts just as easy as you use your mouth to talk. That requires careful choice of the tools. Of course, we need a story to tell in our mind before we can start writing. That is based on what we read, what we do, and how we reorganize the learning from the activities. I also have a system of efficiently compiling the learning into a story to share. But I save that for another article in the future.